Watson-North Funeral Home is honored to be of service and ministry to the family of Douglas Charles Thompson, age 67 of Huntland. Mr. Thompson passed into life eternal on August 19, 2018 at St. Thomas Hospital West in Nashville, TN. A man of strong faith, Mr. Thompson set a solid Christian example for his family, whom he dearly loved. He was a very talented auto mechanic and tuned up many an engine to the beat of the Southern gospel music he so dearly loved. 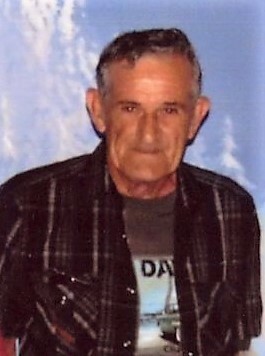 Mr. Thompson is preceded in death by his mother, Helen Brown Thompson; father, Robert Lee Thompson; daughter, Jenny Fenner. He is survived by his wife of 44 years, Katie Henshaw Thompson; daughter, Susie Turpin; sons Douglas (Tracy) Thompson Jr, Roger Thompson, Jamie (Marlene) Thompson, David (Sheena) Thompson; brother Sam (Charlotte) Thompson; 17 grandchildren, 9 great grandchildren and a host of nieces, nephews, extended friends and family. Visitation will be at Watson-North Funeral Home Tuesday August 21 from 5 – 8 p.m. The funeral ceremony will be conducted from the Roy B. Watson Memorial Chapel at 4 p.m. Wednesday August 22, 2018 with Pastor Howard Riddle of the Light House Apostolic Church of Jesus officiating. Interment will follow at Watson-North Memorial Park with friends and family serving as pallbearers. Online condolences may be sent to www.watsonnorth.com.